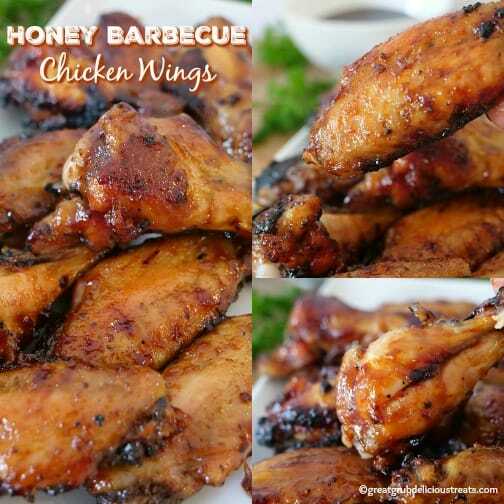 One of our favorite types of wings are honey barbecue chicken wings. 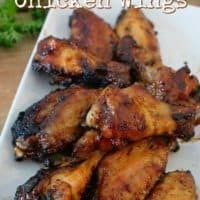 These chicken wings are baked in the oven and come out crispy every time. 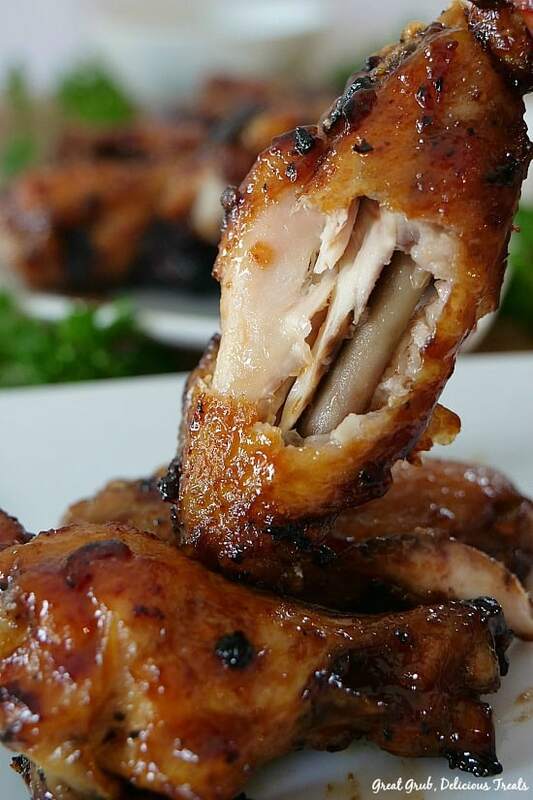 Chicken wings are great for parties, potlucks, game day gatherings or any time a craving for chicken wings occur. 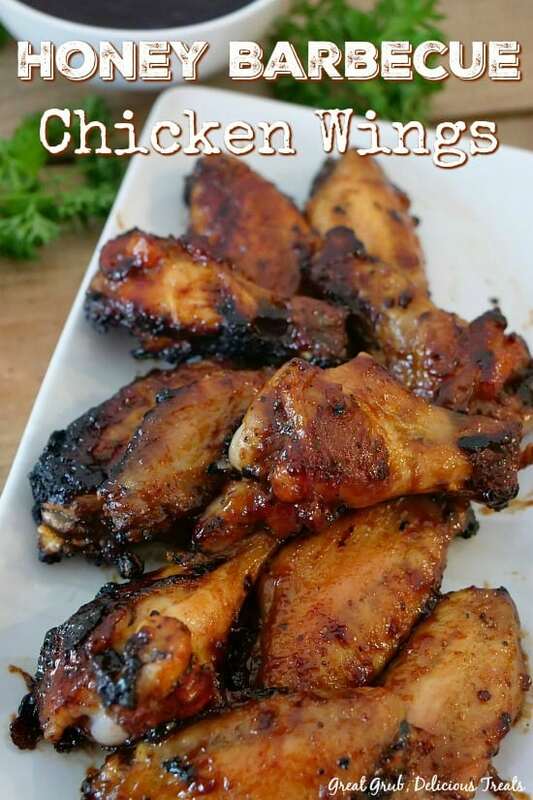 When’s the last time you made chicken wings? 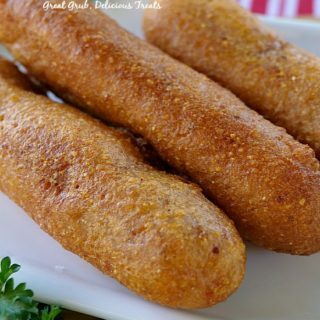 They are so easy to make and tastes so good. I will be sharing my Lemon Pepper Chicken Wings soon and man, oh man, are they delicious. One of our favorite ways to cook wings are in the oven. 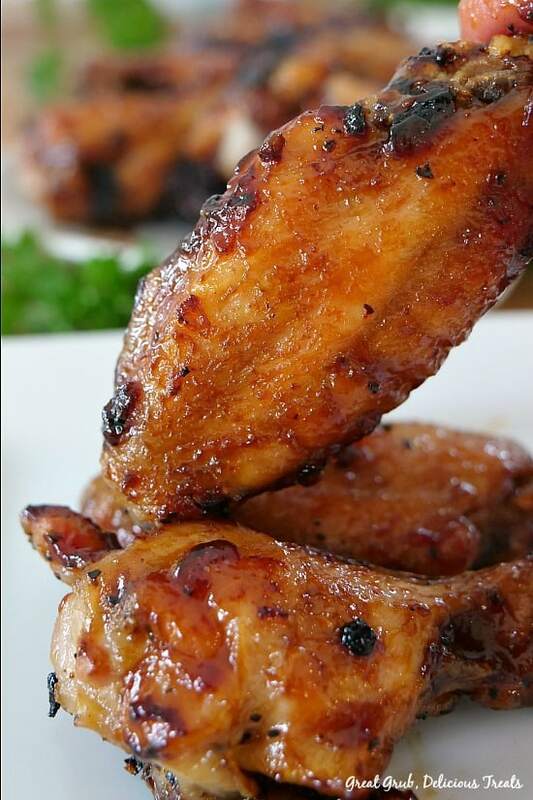 Baked chicken wings are crispy and crunchy on the outside, tender and juicy on the inside. 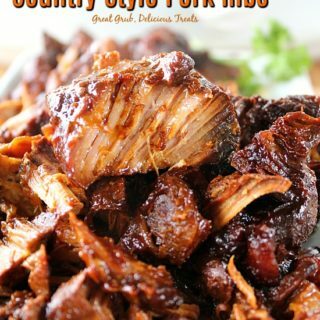 Then smothered with a delicious honey barbecue sauce and broiled for a few minutes, makes them incredibly delicious. 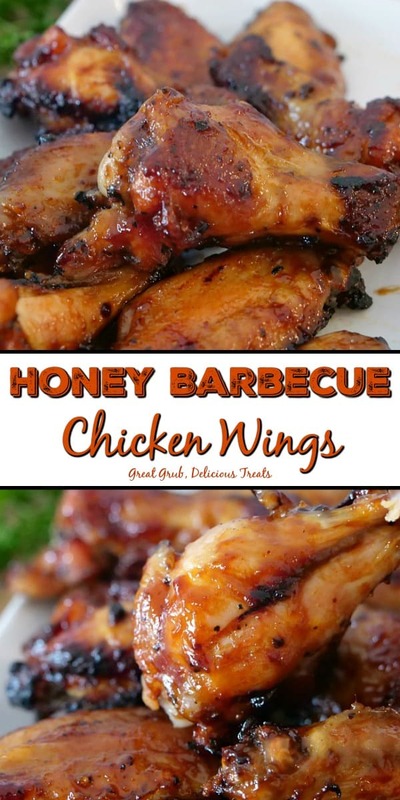 So if you are looking for an easy, baked chicken wings recipe, you found it with these honey barbecue chicken wings. Start out by pat drying the wings with paper towels and add wings to a large mixing bowl. Season with salt and pepper. Once seasoned, add vegetable oil and toss to coat. Next, place the chicken wings in a single layer on a baking sheet(s) lined with foil that has been sprayed with a non stick spray. 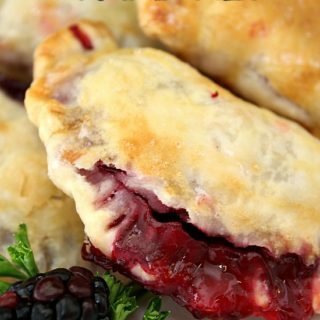 Pop in the oven and bake at 400° for 35-40 minutes, turning after 20 minutes. 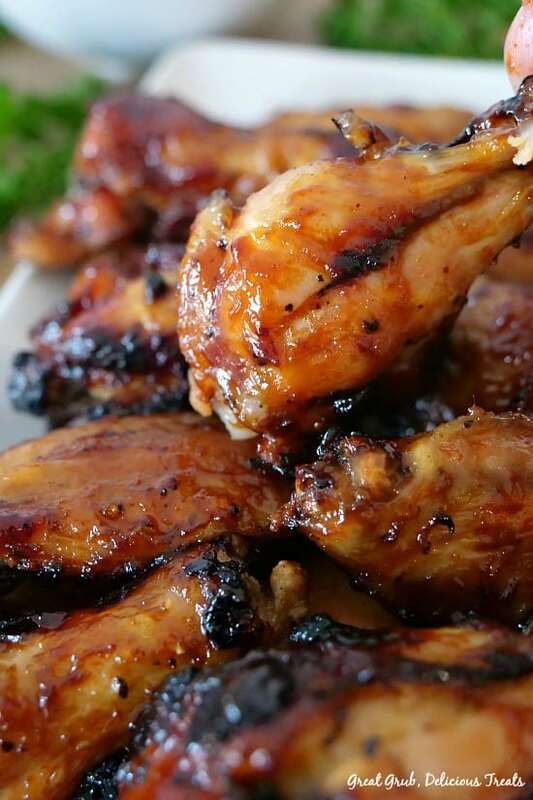 Once done, remove the crispy wings from the oven and brush honey barbecue sauce all over each wing. Place back in the oven and broil for about 3-5 minutes longer. Remove and enjoy! 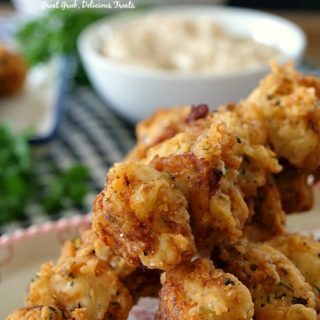 Here are a few more delicious chicken recipes that can be found on the blog: Crock Pot Cheesy Chicken, Parmesan Crusted Lemon Chicken Strips, Spicy Buttermilk Jalapeño Chicken Strips, Barbecue Chicken Bacon Pasta Salad, plus many, many more. 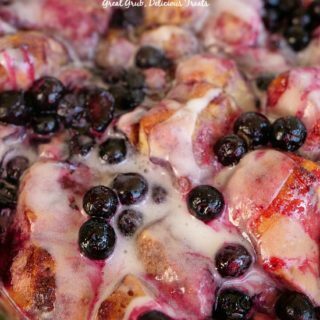 Check out all of our delicious recipes. 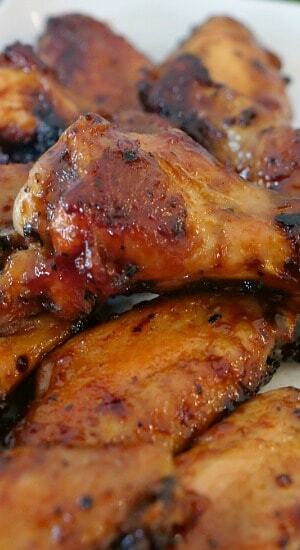 These crispy Honey Barbecue Chicken Wings are baked in the oven, topped with honey barbecue sauce and then broiled to perfection. SO good! Preheat oven to 400° and line a baking sheet(s) with foil and generously spray with a non stick spray. Set aside. Pat dry chicken wings with paper towels and place in a large mixing bowl. Season with salt and pepper then add oil. Toss to coat. Place wings on baking sheet(s) and bake for 35-40 minutes, turning after 20 minutes. Using a one cup measuring cup, add honey first, then barbecue sauce to equal one cup (it’s the easiest way to measure). Stir. 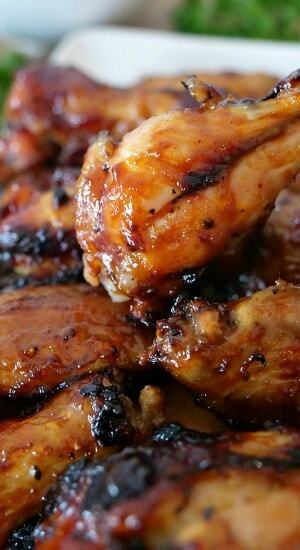 Once wings are done baking and temperature has reached 165°, remove wings from oven and brush with honey barbecue sauce. 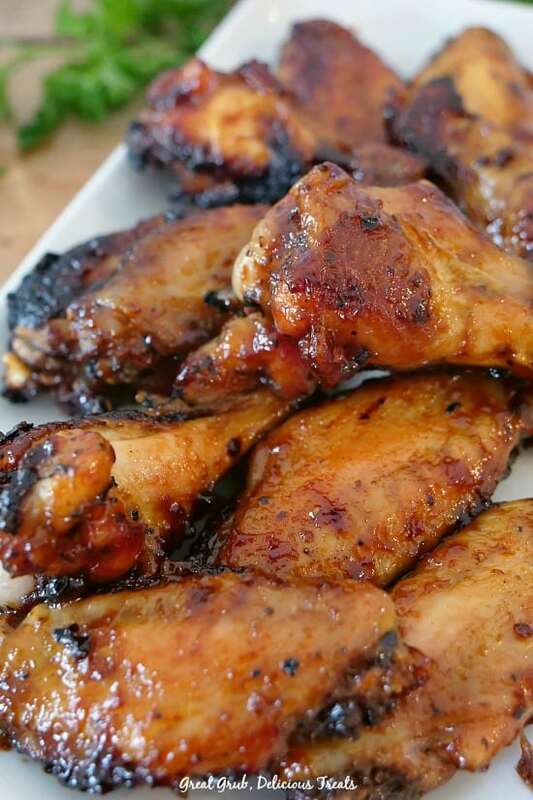 Turn on broil and place wings back in the oven. Broil for a few minutes, making sure they do not burn. 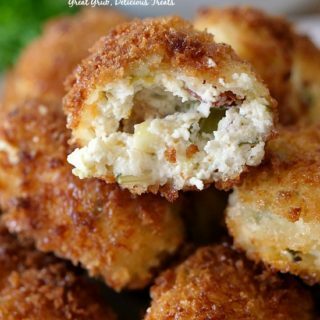 Remove from oven and enjoy with your favorite dipping sauce. Here’s a few pics that are the perfect size for pinning to Pinterest.